Currently on sale @ Amazon and Apple. Coming soon to Barnes & Noble and all major places that ebooks are sold. Darren McLaughlin thinks he's having a nightmare as he watches his wife, Lilly, being abducted from a gas station in Chandler, Arizona. Things then go from bad to worse, when it's revealed that her captor is one of the students she taught at a local high school. In Manhattan, US Attorney Aaron Eicher cringes upon learning the identity of the man who abducted Lilly McLaughlin. Nick was the one thing holding his case together against the son of Russian crime boss, Viktor Sarvydas—but now his star witness was on the run, and in mortal danger. It is just the latest surprise in a case that went against everything he'd learned in school—when it came to the Russian Mafya 1+1=3. Seeking refuge in Israel, fleeing the fallout of his son's arrest, Viktor Sarvydas smiles when he learns the news about Nick. He knows that it's now just a matter of time before he comes face to face with the man who was going to testify against his son. With the FBI, media, and dueling Russian assassins in a cross-country race to get to Nick and Lilly, it becomes clear that the only one who can truly save them is Darren. Will he get to them first, or will...death do us part? The Truant Officer is really a modern day "chase" book. But instead of being a race across a state or a region, it is across the globe. It begins on page one, when a school teacher named Lilly McLaughlin is abducted from an Arizona gas station, and ends across the Atlantic - all in a matter of days! 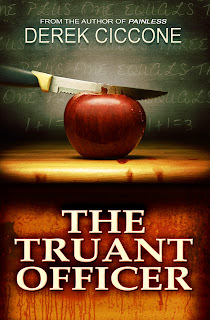 Different from The Trials of Max Q (and for the most part, Painless) which predominantly follow a small group of characters, The Truant Officer jumps between numerous characters. I was concerned that this would make readers seasick, but those who've read it have found it to be the opposite, finding the style preferable, and reminded me that it's about whether readers find the characters compelling and interesting, and not the number. 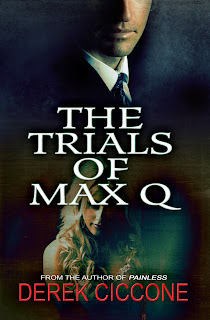 The Trials of Max Q...Now Available! On sale @ Apple, Amazon, Barnes & Noble, and most places where ebooks are sold. When the law ends, the pursuit of justice begins! Born into a legal dynasty, Jack Lawson was a natural who was making a name for himself as one of Manhattan's top young lawyers. But when his world came crashing down, Jack left the big city and his family's powerful firm, to seek solace in a small village of Cooperstown, New York. There, he re-discovered his love of the law. But the peaceful village is shattered when a body is found on the estate of the county's most famous resident, and American hero, Drew Anderson. A man considered to be so perfect that he is nicknamed Max Q after the benchmark for systems perfection during a space launch. And it isn't just anybody who is found dead—the victim is widely considered to be one of the world's most infamous women. When Anderson is arrested for the murder, Jack ends up with the case that everyone wants to “go away,” and some are willing to go to the deadly lengths to make sure it does. Against all odds, Jack and his partner, Jessica Shepherdson, must risk their reputations, their careers, and eventually their lives, in an explosive race for the truth. 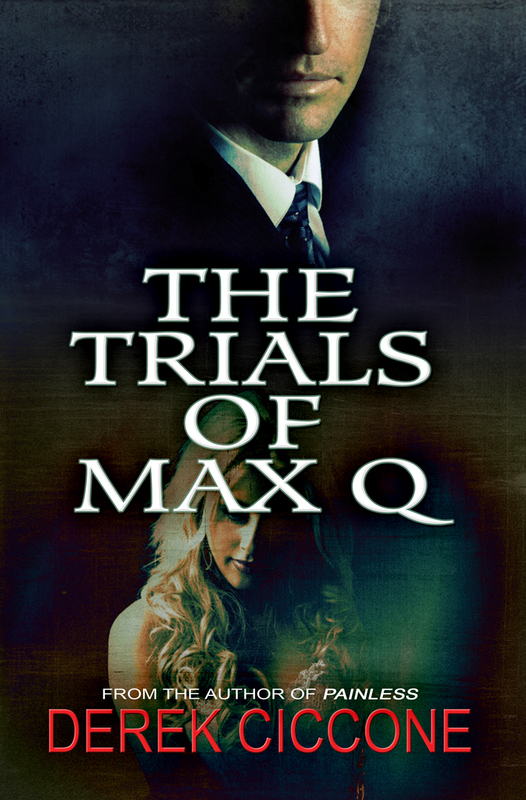 The Trials of Max Q is a mystery/thriller that follows Jack Lawson, a man trying to find solace, who finds that he must go through hell to find any peace. It's told from a first-person point of view. While I know many authors think first-person is too limiting, it is my favorite writing style, and really allows the ability to get within the character.